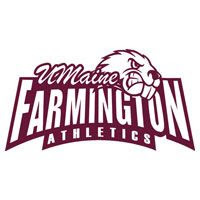 Routed 16-7 in the opener, the University of Maine at Farmington baseball team got past Lyndon State College 9-8 in the second game to split a North Eastern Athletic Conference baseball twinbill at Thomas College's H. Allen Ryan Field today. The Beavers (3-16, 2-6) and the Hornets (5-15, 2-8) are scheduled to break in Hippach Field on Monday. The doubleheader is set to begin at 2 p.m. In the first game, the Hornets scored seven times in the opening frame and went on to roll past the Beavers 16-7. Michael Cartularo smacked a pair of single and a double with five RBI to lead Lyndon, while Corey Lescault, Korey Marsh and Kyle Whitworth each singled three times, with Marsh plating three runs, and Jake Ainsworth doubled twice. Josh Garneau (South Portland, Maine) and Matt Levine (Pelham, N.H.) each singled three times for Farmington with Zach Keene (Livermore, Maine) singling twice and driving in three runs. Dale Winchenbach (Waldoboro, Maine) was hit with the loss as the sophomore was stung for nine hits with a walk and two strikeouts in one inning. Isaac Earle notched the win, scattering 10 hits with three strikeouts. In game two, Jack MacVane (Mechanic Falls, Maine) singled home Connor McNeill (Portland, Maine) to cap a three-run seventh with a 9-8 walkoff win for UMF. Leading 6-4, the Beavers allowed Lyndon to score four runs in the top of the seventh to take an 8-6 advantage. Keene scooted home on a passed ball and Russ Schmelzer (Winthrop, Maine) slugged an RBI single before MacVane's hit helped the hosts earn a split. MacVane finished with a pair of singles and three RBI, while Garneau, Keene and Brian Jenkins (Gorham, Maine) each post a pair of hits. Will Griffiths (Mechanic Falls, Maine) got an out in relief for the win. Patrick Hilton singled, doubled and plated two runs for the Hornets.